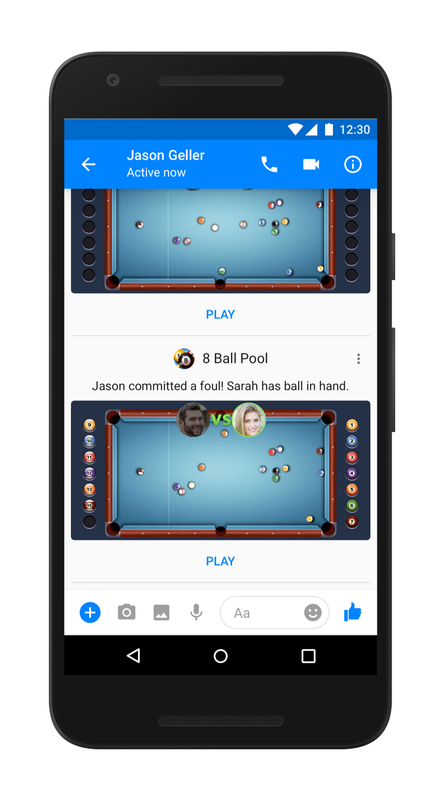 Today we’re starting to roll out Instant Games on Messenger more broadly for the 1.2 billion people who use Messenger every month. In addition, we’re also launching the new features that we exclusively previewed to developers at our annual F8 conference. These include rich gameplay features, which allow developers to create unique and sophisticated experiences and Game bots to help game makers surface exciting features like new levels and rewards. When developers start to take advantage of these new capabilities everyone wins with more dynamic and engaging gaming experiences. Rich gameplay features such as turn-based games (our most requested feature) can also weave in leaderboards and tournaments, and offer more visually engaging and customizable game messages during play. Game bots help re-engage players by calling out new game options and encouraging competition with updates on the leaderboards. One of the first games to take advantage of the new rich gameplay features is Zynga’s Words With Friends. Words With Friends, one of the most popular game apps of all time, is now available as a feature-rich, turn-based game right in Messenger. People will begin to see new features as game developers start to incorporate the new capabilities with one of Instant Games on Messenger’s biggest hits, Blackstorm’s EverWing, being among the first to use Game bots. Depending on what device you use and where you are located, there are now up to 50 games titles available on Messenger, with more being introduced almost every week. We’re also excited to be bringing the world’s #1 pool game — Miniclip’s 8 Ball Pool — to Instant Games very soon. 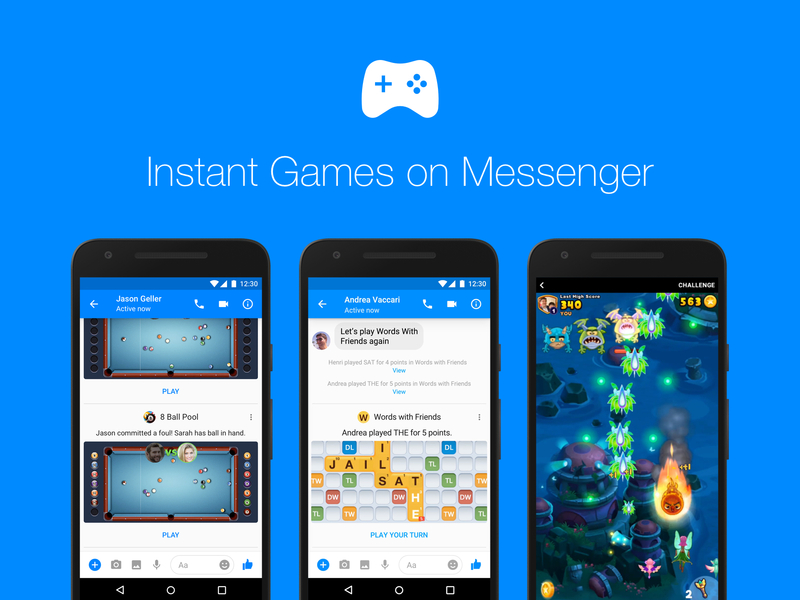 The new Instant Games on Messenger will roll out over the next few weeks worldwide for both iOS and Android.